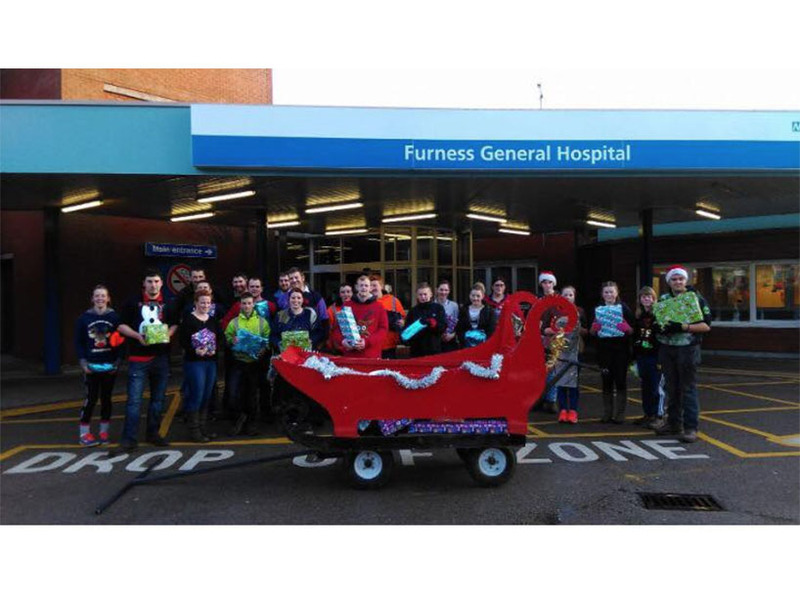 Cartmel Young Farmers have arrived at Furness General Hospital after a 22 mile sleigh pull taking 8 hours. They have over 100 presents which is absolutely amazing. People are so generous. Thank you Cartmel Young Farmers you have brought lots of smiles to so many faces today. We send you all best wishes for a Merry Christmas   ⛄️   Thank you so much.